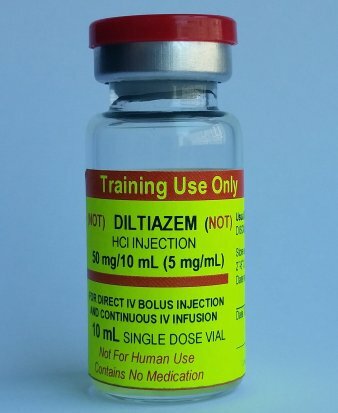 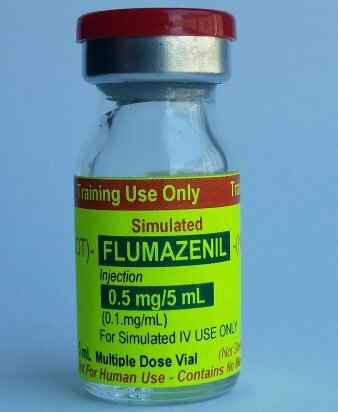 This vial contains only water, but is labeled to simulate flumazenil. 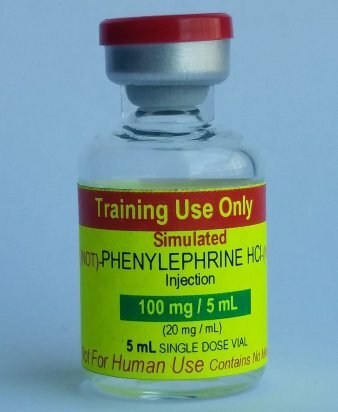 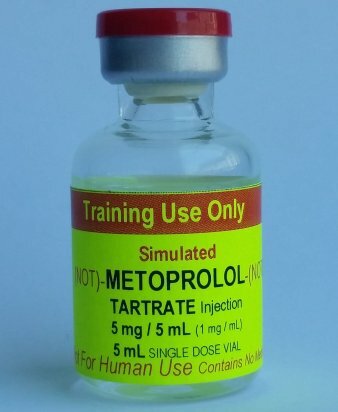 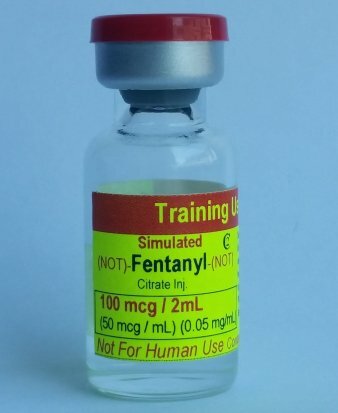 The marked concentration is 0.1 mg/mL. 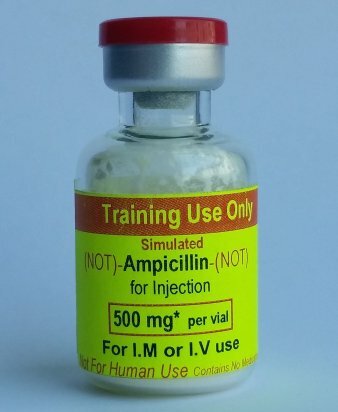 The vial contains 5 mL or 0.5 mg.